About Us-New Quality Auto Radiator Corp.
New Quality Auto Radiator Corp. manufactures many kinds of radiator parts and radiators. For more than 25 years, we have been manufacturing for passenger cars, light trucks and now heavy-duty industrial trucks. Our factory has implemented an OEM system for the entire factory from Japan for aluminum radiators. We are now testing the new system. By the end of the year, we will add the aluminum radiators to our products. 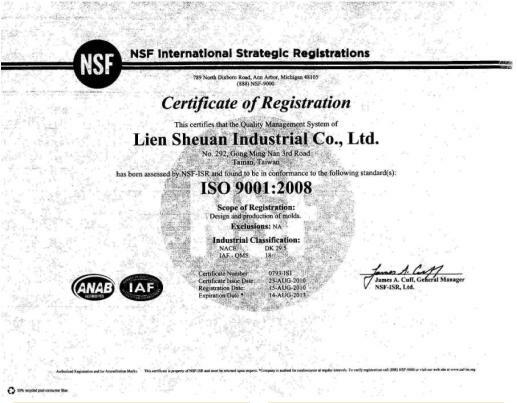 We are an ISO 9001 certified company and we also know the importance of meeting our customers’ needs; therefore we have a dedicated staff to serve you. Customer service is our pride. We welcome every opportunity for you to experience our expertise.